2008. Abstract composition of acrylic paint with varnish top coat. 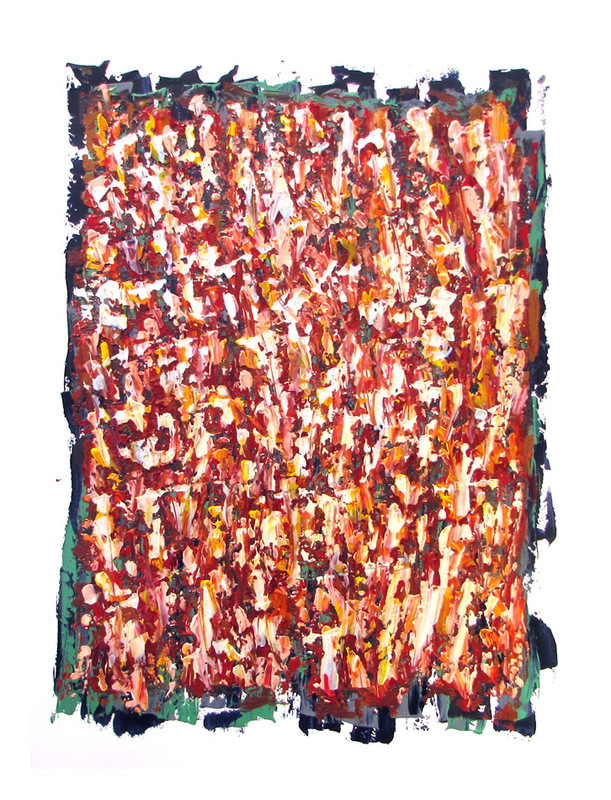 Measures 22″x30″, signed on white edge by artist.